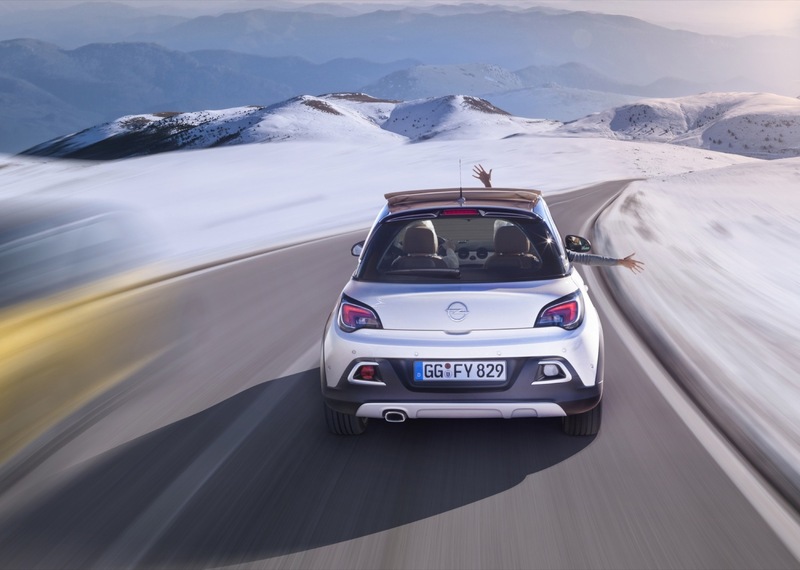 Opel has officially shown the production version of the Opel Adam Rocks, a taller, more rugged version of the Adam city car, ahead of its official debut at the Geneva Motor Show in March. 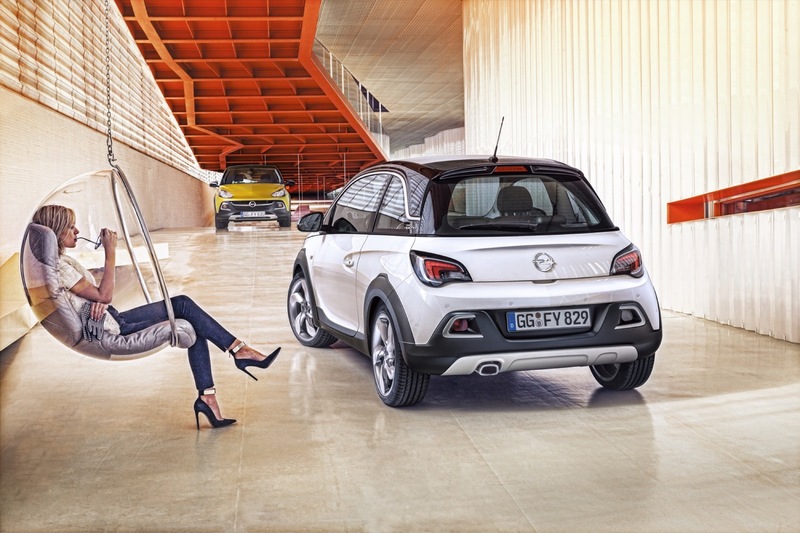 The newest addition to the Adam family is described by Opel as being “an adventure-loving mini-crossover”. 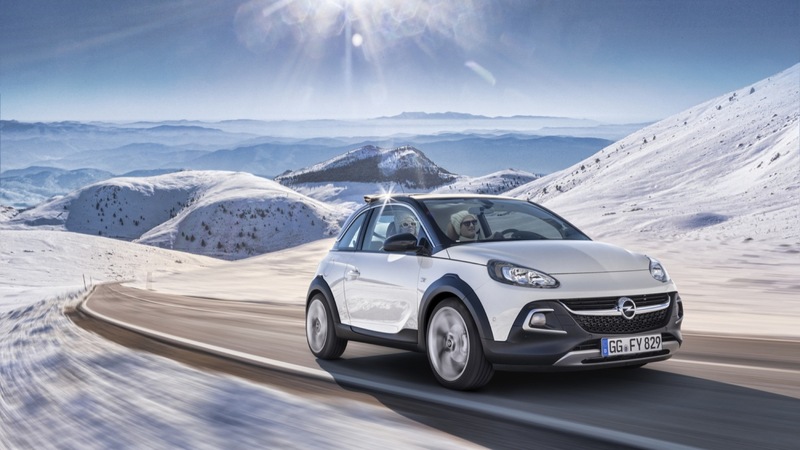 To earn this moniker, the Adam Rocks was fitted with a revised suspension, which sits 15mm higher than the standard Adam, and tough, protective body cladding. 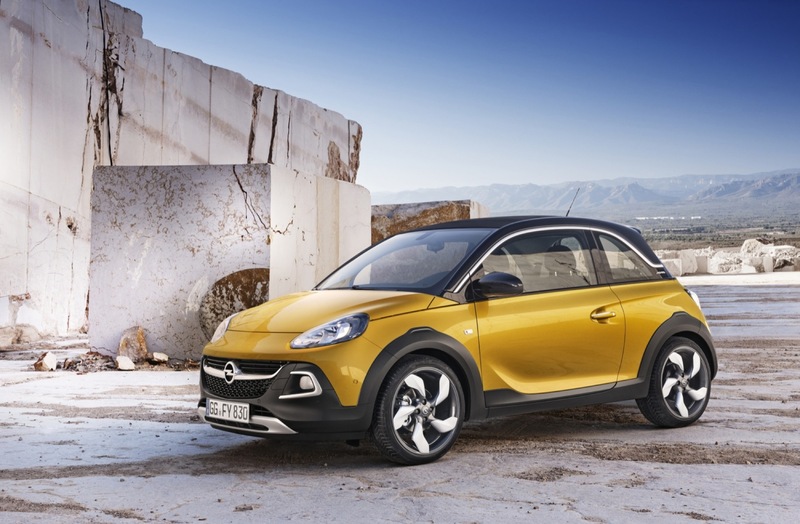 Apart from its tougher looks, the Adam Rocks has the option of a roof-length, electrically folding canvas convertible top. 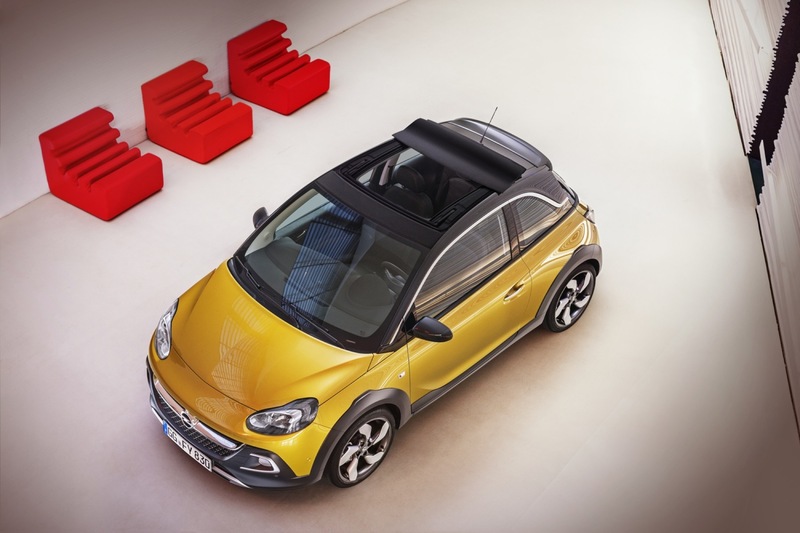 The retracting roof folds back neatly onto the C-pillars in just five seconds, having no effect on luggage capacity or chassis stiffness. 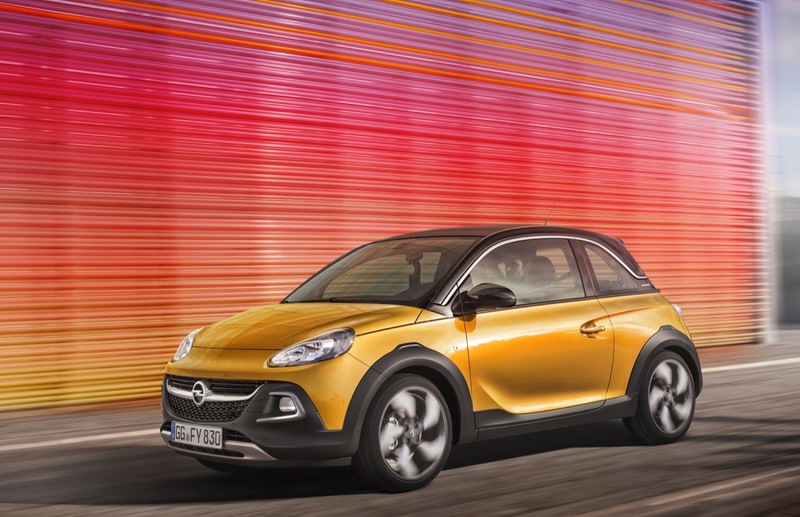 The Rocks will introduce Opel’s recently-announced 1.0-liter SIDI turbocharged three-cylinder engine, available in both 90 horsepower and 115 horsepower versions. 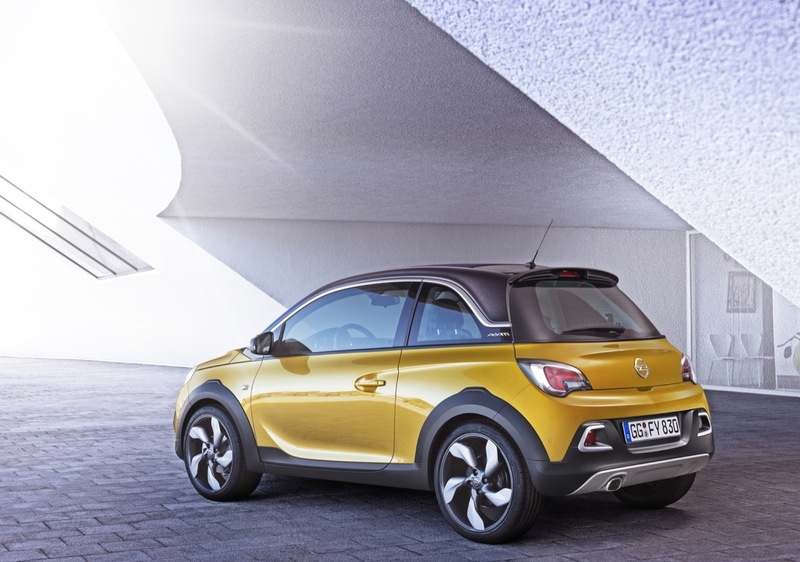 The three-cylinder joins the Adam’s current engine portfolio, consisting of 1.2- and 1.4-liter four-cylinder engines, both of which are also available in the Adam Rocks. Power will be sent to the front wheels through a newly-developed six-speed manual transmission. 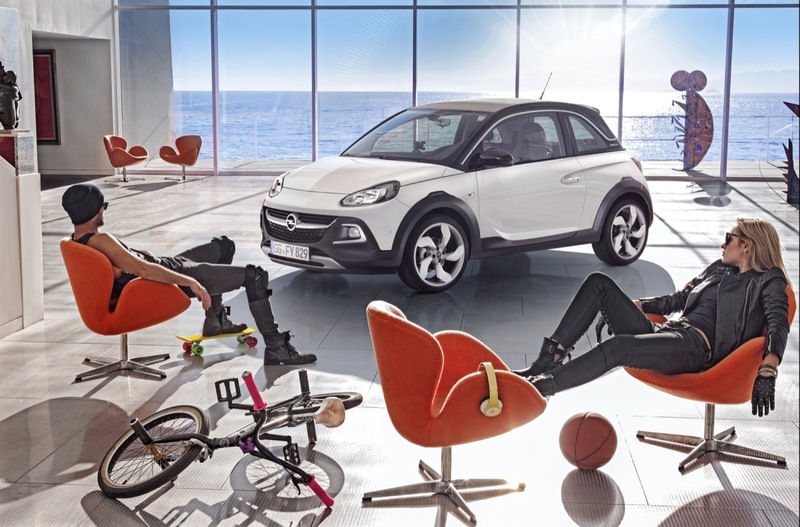 Like other models of the Adam, customers will be able to personalize the Adam Rocks to their liking. 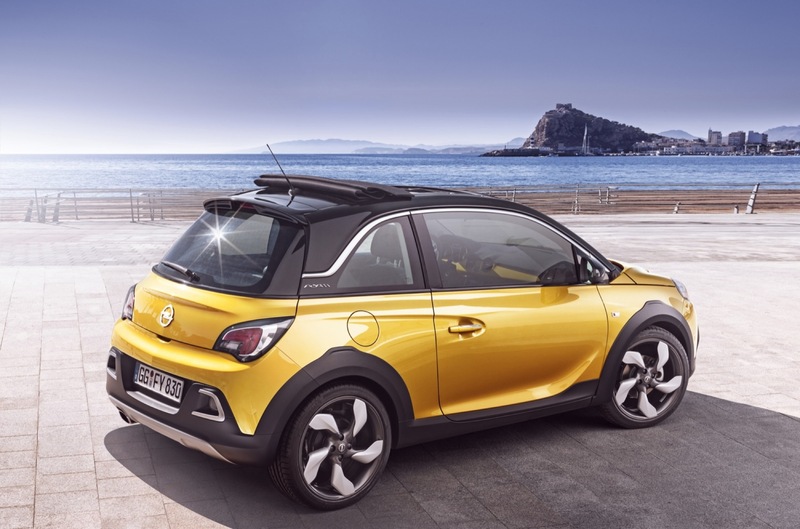 The car will introduce new body colors, including the yellow shade seen here, which Opel is calling “Goldbusters”, along with a new peanut-colored interior trim. 17- or 18-inch alloys wheels are also offered, which can be personalized with new wheel clips, available in 18 different colors. 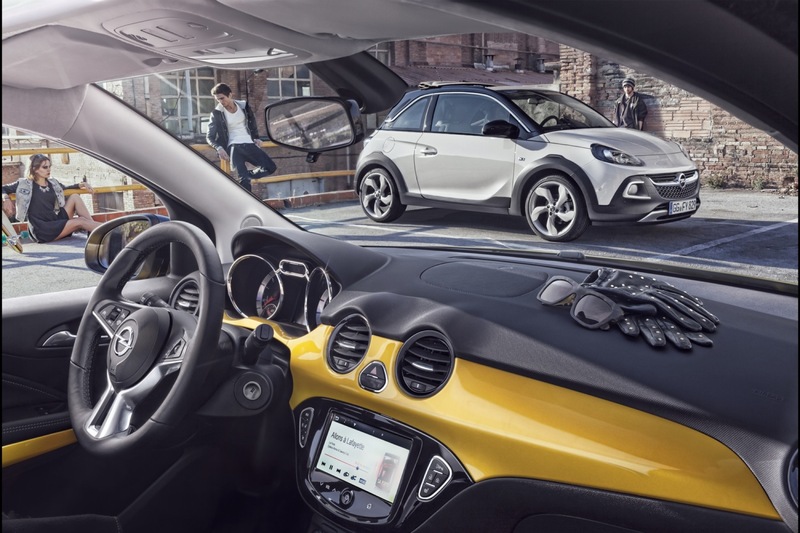 Opel says sales of the Adam Rocks will commence in the summer, with production beginning in August at Opel’s factory in Eisenach, Germany. Does anyone think this would make a good Buick? The regular Adam that is. 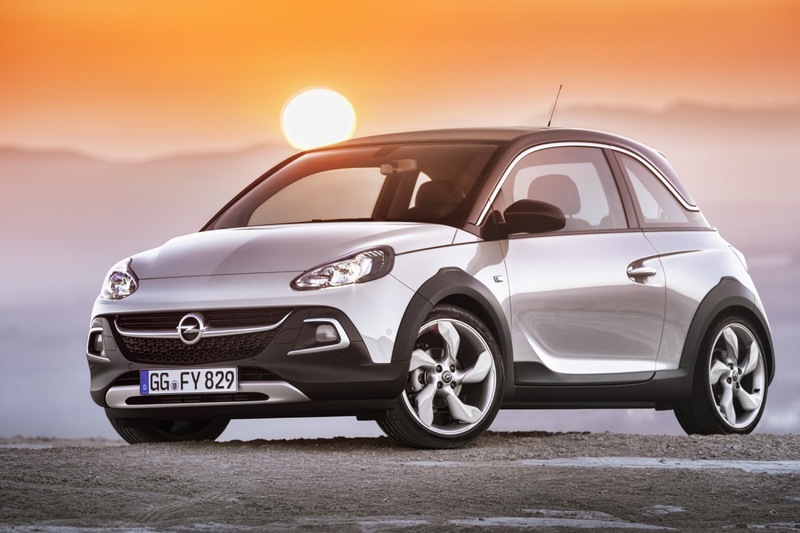 I think Buick would be fine with a Verano 3/5-Door Hatch (AKA Astra). . Somehow this little car just exudes cool and slick and modern. The Rocks is an interesting iteration and should sell well. 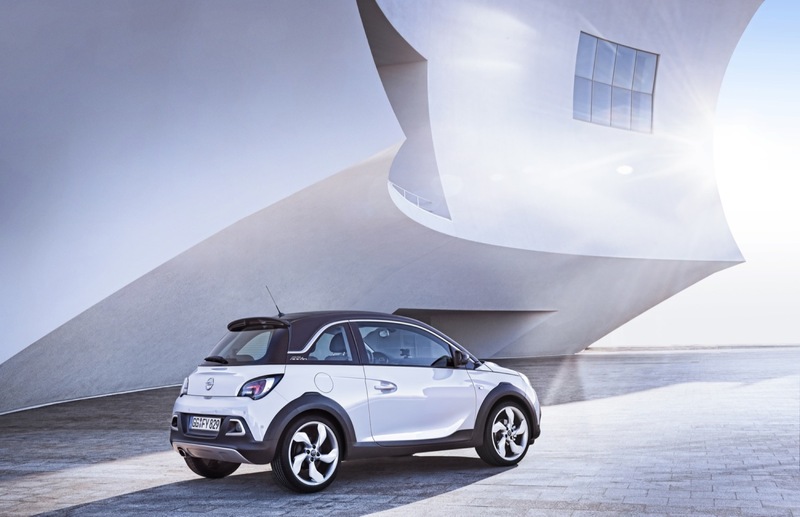 I agree that this car would seriously help Buick’s image and get much younger buyers into the fold.